Charge your camera and pack your safari gear! Kati Thanda Lake-Eyre has been transformed bringing life to South Australia's parched salt pans and desert country. Arkaba is celebrating with this five-day photographic safari led by author of Lonely Planet's Guide to Travel Photography, Richard I'Anson on 29 July - 2 August 2018. It's your rare opportunity to capture the surreal beauty of water-soaked Kati Thanda Lake Eyre, Arkaba's prehistoric outback landscape and abundant wildlife in all-inclusive luxury. Richard I’Anson is a freelance photographer who has built a career on his twin passions for travel and photography. Over the past 36 years he has travelled the world, amassing a substantial and compelling collection of images of people and places in more than 90 countries on all seven continents. His images are published worldwide in books, magazines, newspapers, brochures, calendars, posters, cards and websites. They have been reproduced from the size of a stamp (literally) to the size of a tarpaulin protecting the contents of a 53-foot truck trailer. 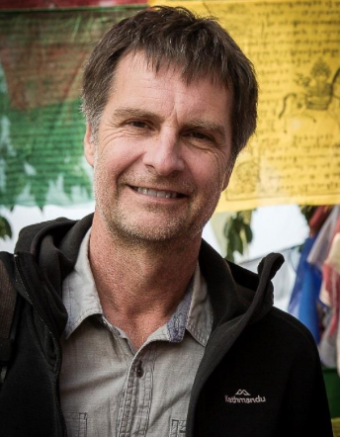 Richard has published thirteen books including five editions of the best-selling Lonely Planet Guide to Travel Photography and the large format pictorials: Australia: 42 Great Landscape Experiences, Nepal and India: essential encounters. Richard is proud of achieving the status of Master of Photography awarded by the Australian Institute of Professional Photography (AIPP). He was honoured to be selected as a Canon Master Photographer by Canon Australia and he features in the National Geographic TV series Tales By Light now screening on Netflix. Download the full five-day photographic safari itinerary or visit the following web link to find out about package inclusions. To book your Wild Bush Luxury photographic safari experience at Arkaba, please email arkaba@wildbushluxury.com today.